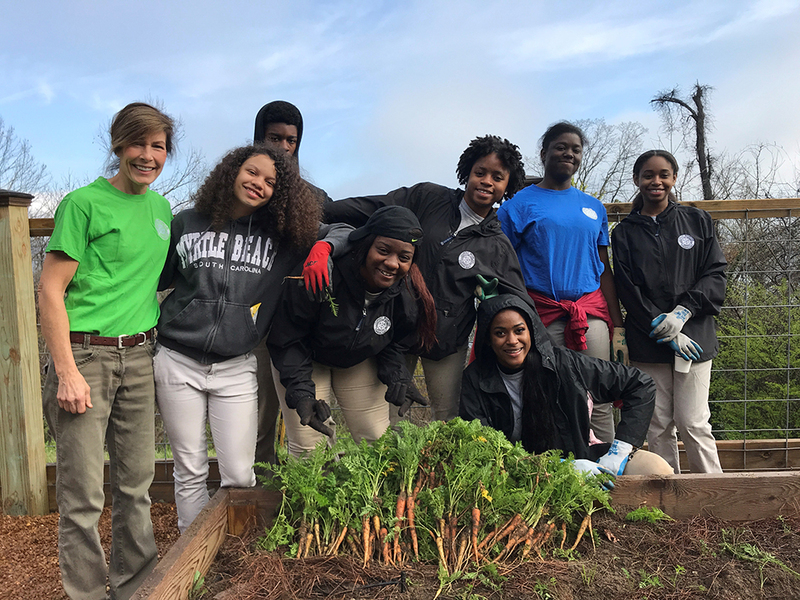 The following is adapted from a speech Imani Rowe, a student at the Howard School in Chattanooga, Tennessee, presented at the Land Trust Alliance’s Southeast Conference in March 2018. My name is Imani Rowe, I am 15 and in the 10th grade. I have been working for the accredited Lookout Mountain Conservancy (LMC) for a little under a year and it has been one of the best things I have chosen to invest my time in. I have received a prodigious amount of opportunities regarding my future career choices, my present life and just life experiences as a whole. What intrigued me to want to join LMC? Two words: Alethea Frady. Alethea, my older sister, wasn’t always the most positive influence. Yet when she joined the program I started to notice big changes in her life. Her attitude became more positive and she began to be more interested and driven toward her school life. Overall, she became abetter person. My sister had never been the outgoing type so to see her getting up early, excited to go to work made me wonder: What was so special about this job of hers and how could I get into it? I thought it would be as simple as filling out an application, but for anybody who knows, that most definitely was not the case. Interview with current LMC interns and staff. Once you get into the program you will face a series of challenges, and some will make you want to quit. I can remember a few times I wanted to just give up, but everyone keeps you going and lets you know that times get hard and that you always have a shoulder to lean on. On that note I would like to thank Ms. Ashley, Ms. Robyn and all the board members for the support of LMC. School: Our first priority, the most important; without school we can’t be successful. Extracurricular: Always give back to your community or school. LMC: The place I work. You gain an excessive amount of life qualities working at LMC. You learn communication skills, perseverance, teamwork, and you grow a personality that you didn’t have before. I have always loved being outside and always knew how to interact with people, but this program has taught me that there is always room to grow. I have learned how to not be so independent while working. I have learned to strategize more and think things through. Another great thing about this program is its equity and diversity. Not only are some of the interns different ethnicities or races, but so are the volunteers and youth we work with. We learn different things about one another’s cultures and how we all can relate to one another.